Impact game is a gaming zone that is suitable for both kids as well as adults. 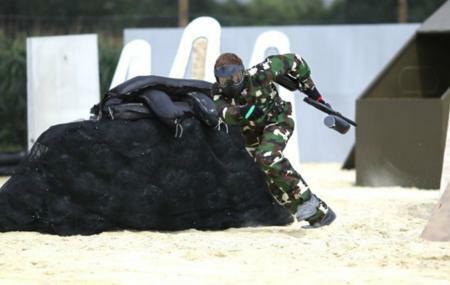 The games include paintball, Synthetic ice rink (ice skating), laser game, etc. The staff is extremely friendly and helpful. The impact game can prove to be an ideal entertaining spot in the city of Bayeux. A much recommended visit for people who love games. Visitors can enter the place for free. Gloves are mandatory and are available at the counter. For ticket prices please visit the official website. Love this? Explore the entire list of things to do in Bayeux before you plan your trip. Fancy a good night's sleep after a tiring day? Check out where to stay in Bayeux and book an accommodation of your choice. How popular is Impact Game? People normally club together Parc Festyland and Jerusalem War Cemetery while planning their visit to Impact Game.